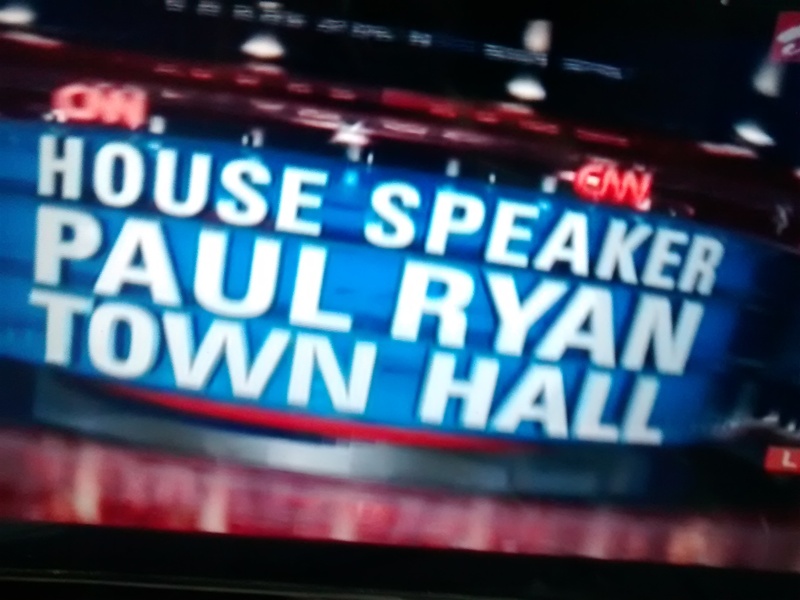 ” CNN – House Speaker, Paul D Ryan, Town Hall – Of Sufficing Value ” – July 12, 2016. 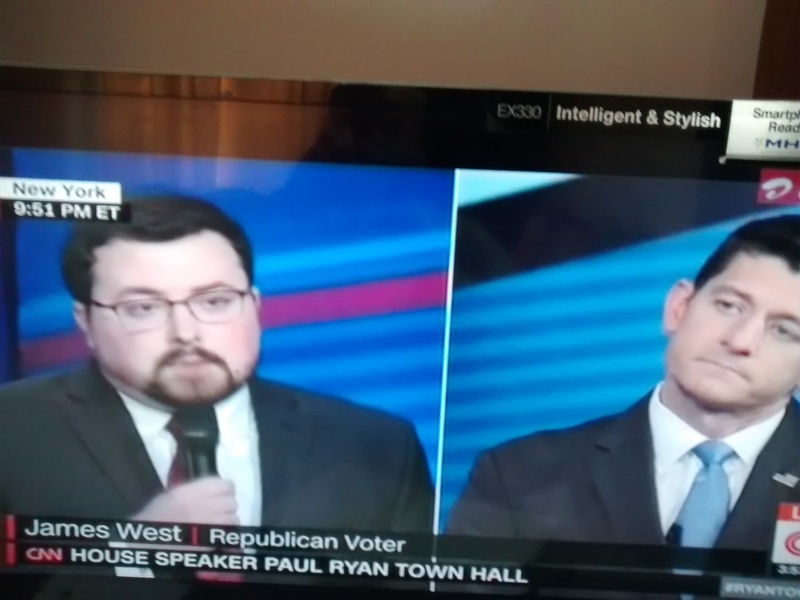 House Speaker, Paul D Ryan, responded to questions in clear, coherent, and confident tone and substance laying emphasis on his twin pillars of principles – “Consistent Conservatism”, and ” Inclusive Aspirational Politics “. The event was moderated by Jake Tapper of CNN. 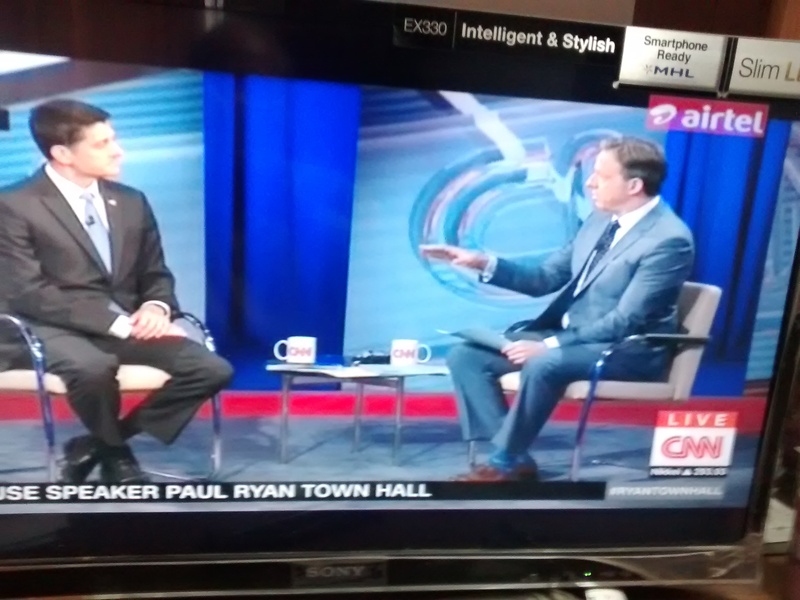 Paul Ryan and Jake Tapper in the Town Hall. Following the salutations from President Barack Obama, and former President George W Bush to the slain officers in Dallas Memorial Service, and their urgent call for ” unity”, Speaker Paul Ryan struck a similar chord asserting and affirming that “leaders have an obligation to unify people and elevate the tone of public debate on the healing process in an effort to calm one another; listen to one another; and to think about solutions to problems”. 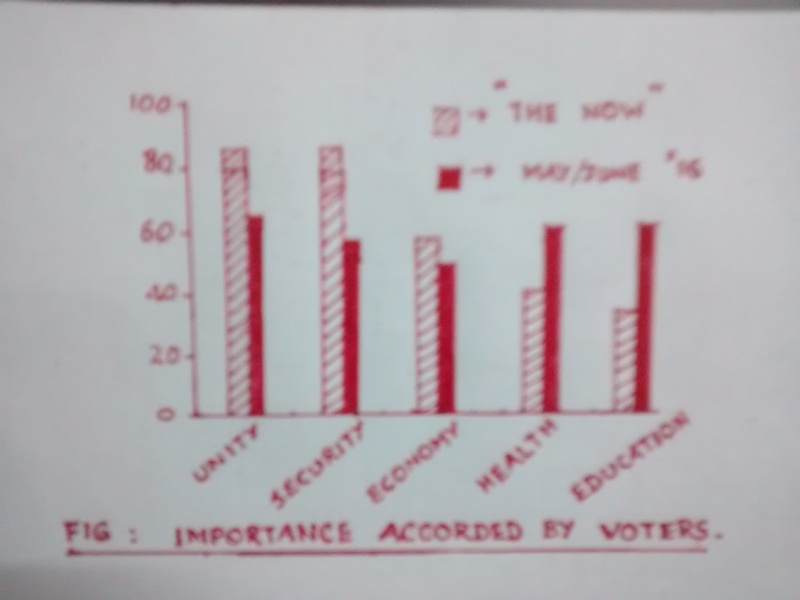 Figure above represents the importance that is likely to be accorded by the voters to the major issues of concern in this General Election. It is evident that particularly after the Orlando shooting; Sniper ambush on Dallas Police Officers; and the killings in Baton Rouge, Louisiana; Minnesota; – people’s concern for ‘Unity’ and ‘Security’ has risen about 20 to 25%, while those for Health, and Education have decreased in proportion to the coverage and discussion in media as well as the general public, reflecting the impact of events of potential anxiety, problems, and troubles. Economic concerns have not changed significantly. Student Zachary asking question on justifying Trump. 1. 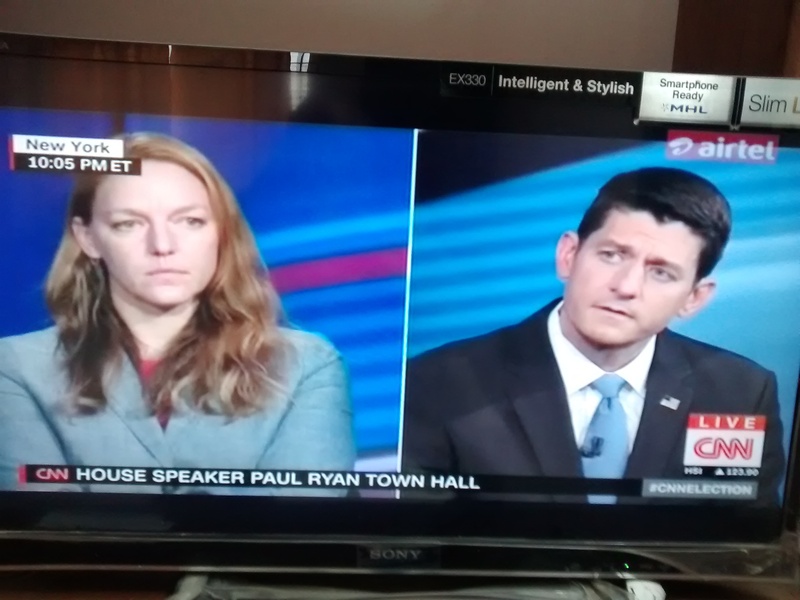 Paul Ryan justified electing Donald Trump as President for his power of choosing appropriate preferences of value to problems on “national security”, ” increasing economic growth “, ” getting cronyism out of the system “, ” supreme Court judges alternatives” – which he also added that Hillary Clinton cannot ensure. “Binary Choice” – he alluded to in favor of Donald Trump. Mark Hughes asking question on firearms. 2. Tackling the problems of firearms (guns) getting into the hands of the ‘mentally ill’ people is vital to prevent frequent shootings with a two pronged proposal of (a) early intervention, and (b) cleaning up the VA (focus of VA to be on PSTD; TBI; Prosthesis …). Congress passed the Opioid Bill last week, it also moved a legislation finding common ground on this effort. 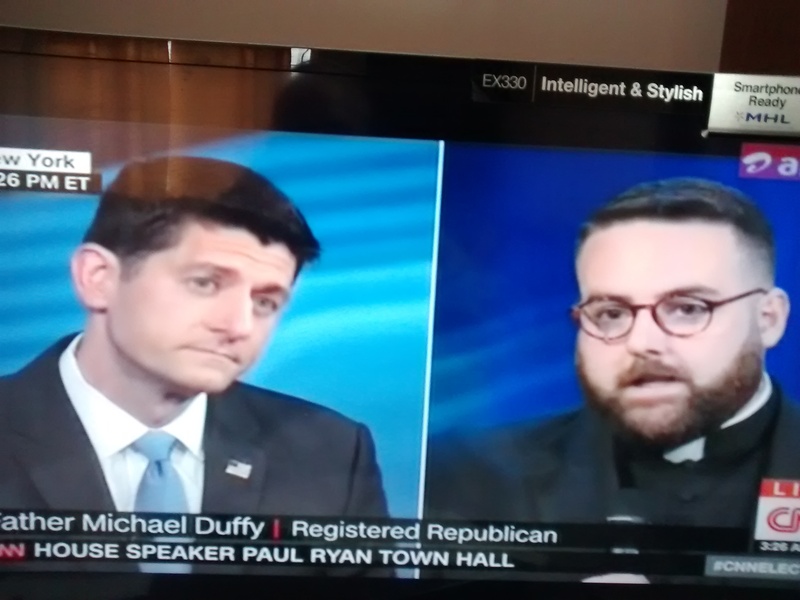 Father Michael Duffy asking a question. 3. 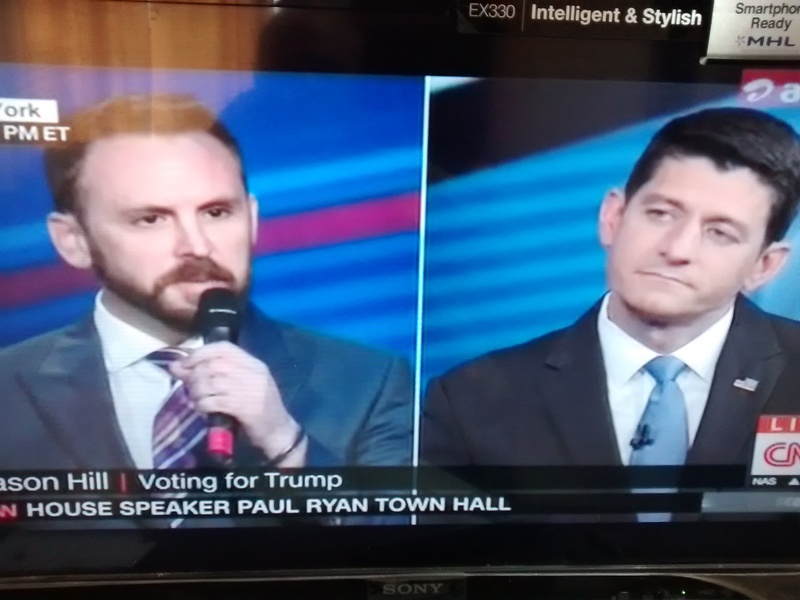 Paul Ryan strongly resisted any temptation to deport or rounding up people as a measure of preventing illegal immigration; while favoring a secure border, reformation of people entering, and reconstruction of the broken immigration system. He also advocated ‘welfare to work transformation’ and ‘customising benefit incentives’ to fight poverty. Heather Terrant asking the question. 4. 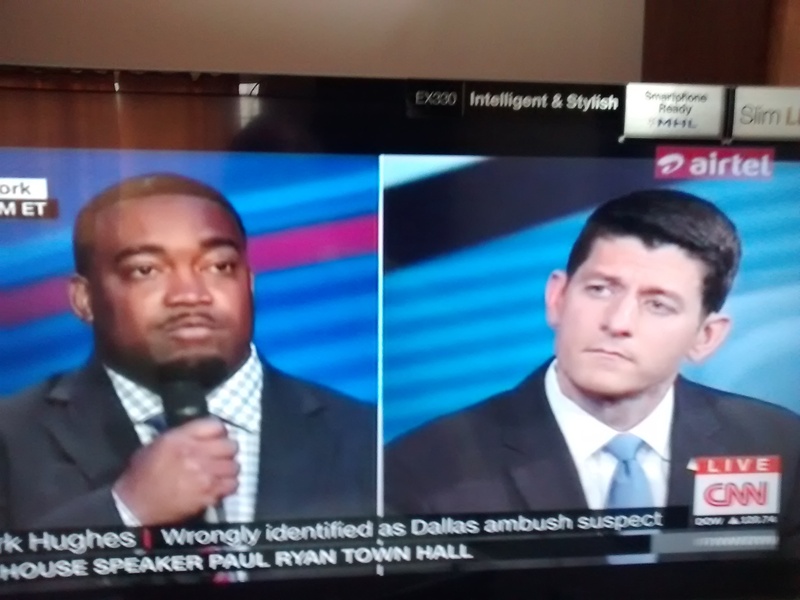 On the issue of protesters (Black Lives Matter) – (a) he called for a bipartisan group to look at police success stories and propagate with dialogue to elevate the quality of discussion; and (b) have a congenial talk with leaders in Black Caucus to make a clear difference. This is what he believed in “inclusive aspirational politics”. 5. The goal of Republicans and Democrats working together in Congress is realistic – he affirmed citing the consensus achieved on building security; health care measures; and tax systems. He, however, admitted that until the mid 1990s when they had lots of common ground, the Democrats are now more liberal progressives and more efforts are needed to move fast and further. Kerry Cahill asking the question. 6. 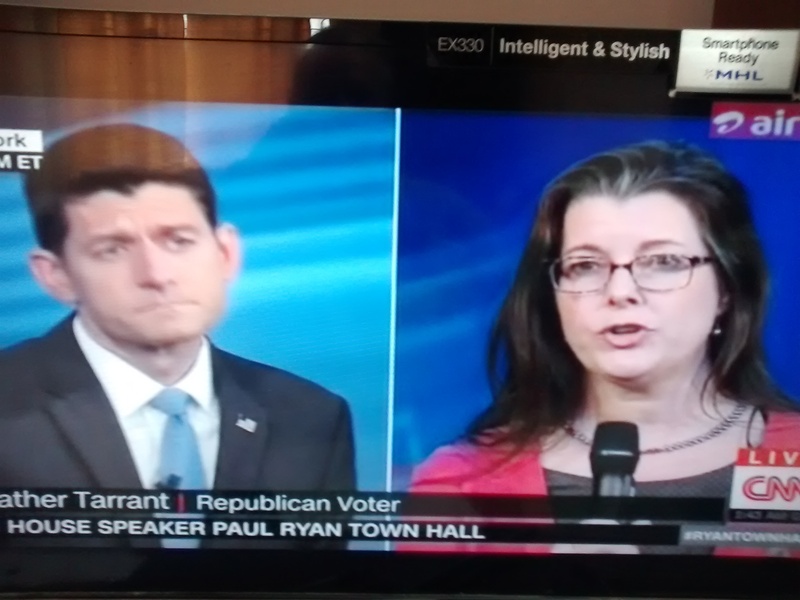 Defending Donald Trump even while not supporting the ban on Muslims, Paul Ryan justified opining that only a ‘security test’ and not a ‘religious test’ concurrent with the 1st Amendment right of Conscience is what the pronouncement(s) mean reflecting the views of a majority of people (though not 100%). He also added that the list of candidates for SC furnished by Donald Trump is Impressive. Jason Hill asking the question. 7. 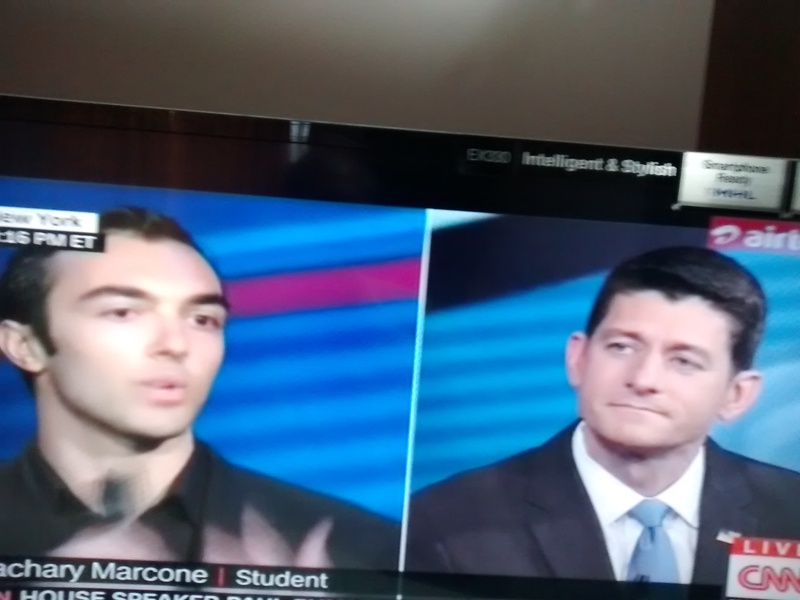 Paul Ryan urged the people to view the Republican ideas flowing from the principles of Liberty, Freedom, Upper mobility, Opportunity, Patient centered Health Care, Equality for all before the law; Self determination; Balanced Budget … to change the perception of people even when they are intolerant. He pressed forward earnestly to believe in these values and stay with Republicans firmly. He also emphasized that Transportation Spending Bill was passed in Congress; Every Student Succeeds Act passed in the House (to be signed into law by the President Barack Obama); Conscience Protection Act to be brought in tomorrow as his accomplishments since October 29, 2015. Paul Ryan has already carved himself in the mould of a highly trusted “brand” with decent popularity among voters and liked by a majority of Republican allies. A big government conservative, he is known for his keenness to promote the Republican party in its transformative role of a contrasting one to one of seeking solutions, with energy and enthusiasm to expand and fulfill expectations and desires of Americans. It remains to be seen if he can bring the same energy and enthusiasm in the days, months, ahead leading to the Presidential Election on November 8, 2016. Will he do some preliminary ground work in building relationships in the hope of a Republican victory fitting the dictum, “Great people do things before even they are ready”, making the path and brand premises of the new Republican President less complex ! Tidbit : ” Best decision makers reach the conclusions slowly and only after studying the issue”.